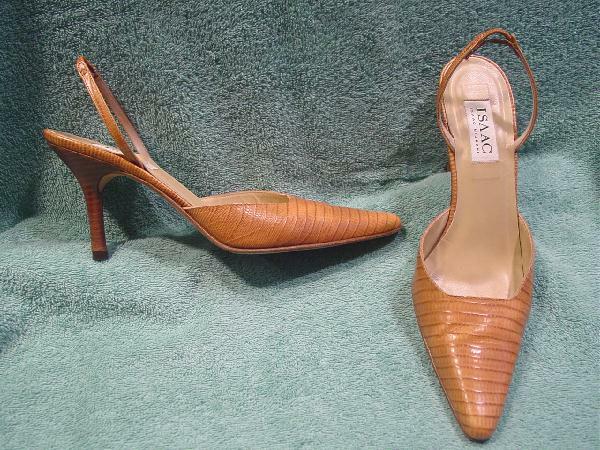 These embossed lizard camel color with caramel line accents leather slingbacks were made in Italy and are Isaac Isaac Mizrahi. The back of the slingback has a small elastic panel. They have sandy-light honey leather linings and insoles. 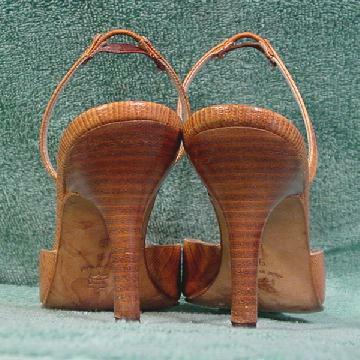 There are elongated toes and brown faux wood stacked heels. The left stacked heel has a few light scuff marks. The left shoe front has some wrinkles.